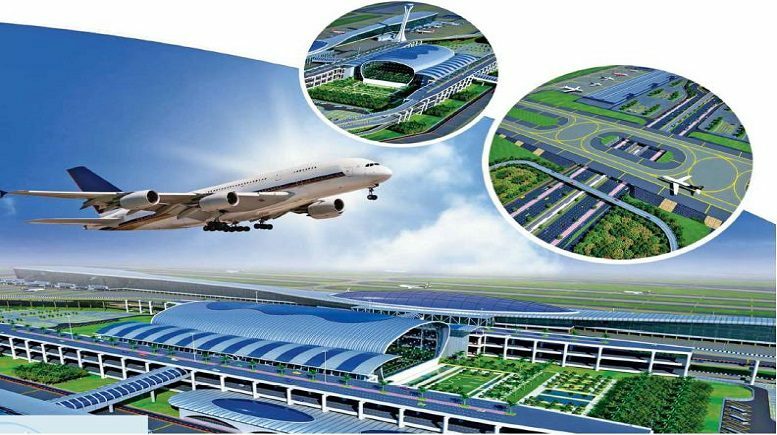 Navi Mumbai is all set to witness newer heights of connectivity with the International Airport soon to undergo construction after the GVK-led Mumbai International Airport Limited (MIAL) won the bid to develop it on February 14, 2017. The new International Airport that will open in 2019 will pave a way for seamless connectivity in Navi Mumbai. The development will bring about welcome changes and attract new real estate projects in the area, making it viable for real estate investment. It will not only enhance easy travel but also put Navi Mumbai on the world map! For the residents of Indiabulls Park, Panvel this new development is set to bring the world to your doorstep. Here’s a peek into what awaits you with the construction of the Navi Mumbai International Airport. 1. According to CIDCO Vice Chairman and Managing Director Bhushan Gagrani, the first flight from the proposed Navi Mumbai International Airport will take off in 2019. 2. The Navi Mumbai International Airport is aimed at easing air traffic congestion at Mumbai’s Chhatrapati Shivaji International Airport. It is located on National Highway 4B near Panvel, about 35 km from the existing Chhatrapati Shivaji International Airport. 3. The airport will have a terminal area of 2,700,000 sq ft and a cargo area of 1,100,000 sq ft. The first phase of the Navi Mumbai International airport will be operational in 2019 and will be able to handle 10 million passengers annually. The immense terminal area and passenger capacity makes the Navi Mumbai International Airport the largest of its kind in the country. 4. The proposed terminal design is both distinct and aesthetically pleasing while being functionally efficient. The Navi Mumbai International Airport terminal will be the first to be built in the middle of both runways and will have full and complete access from either side – a unique feature. The approach road will offer breathtaking views of the airport on both sides. 5. The presence of large water bodies in the vicinity will add to the scenic beauty of the airport and make it visually appealing and the perfect spot to jet-set on a trip/vacation. Due to commercial and infrastructural growth, there’s bound to be residential growth, hence making Panvel a viable residential choice. With the new International Airport slated to be operational soon, Indiabulls Park at Panvel offers you the convenience of connectivity and easy accessibility to travel. Stay connected with the world as you have access to the finest amenities at the best possible location in Navi Mumbai with us. Be the first to comment on "Navi Mumbai International Airport – Upcoming Project in Mumbai"